Spring training in full swing, which means it’s time to go back to the major leagues. Or—in this case—the minor leagues. Aging ball player Gus Cantrell (Scott Bakula) is playing out the string of his career in Fort Myers, Florida at the single A level. Unsure of what to do next, he is offered the manager’s position of the Minnesota Twins’ AAA team “The Buzz” by Twins owner Roger Dorn (Corbin Bernsen), ex third baseman and owner of the Cleveland Indians. Persuaded by his fiancée to do so, Gus takes the job, and immediately finds coaching this roster a struggle, albeit stacked with star potential that needs to be coached, such as Billy “Downtown” Anderson (Walton Goggins). 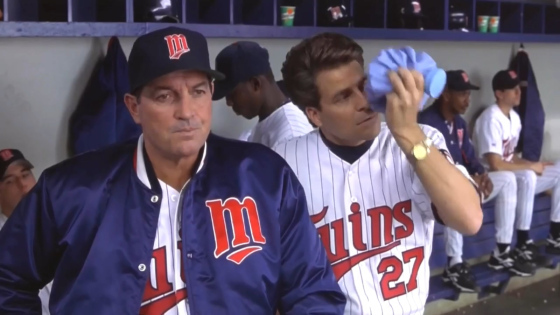 As things slowly begin to turn around for the Buzz, more focus is placed on the Minnesota Twins’ struggling big league team and their idiotic manager, Leonard Huff (Ted McGinley). Feeling threatened, Leonard challenges Gus to a challenge. The AAA team versus his major league team. Just who is the best team in the Minnesota Twins’ baseball organization? Will there every be a Major League III? Technically, sort of, the world has already received it in Major League: Back to the Minors. 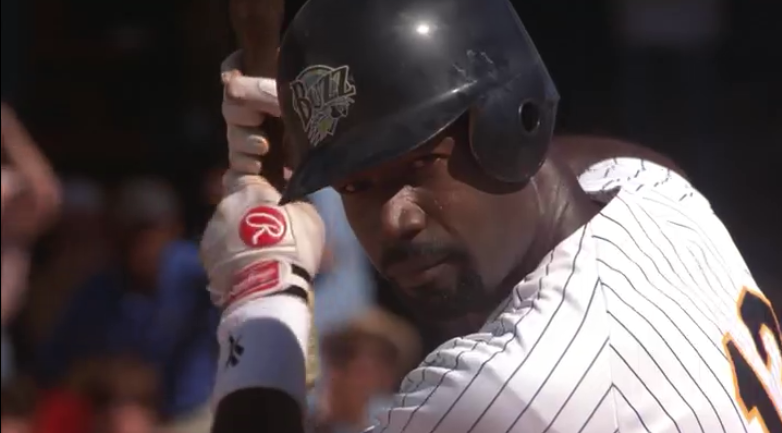 Back to the Minors is the reason why the world and sports movie fans are likely to never get a Major League III/IV, or whatever proper sequel to Major League II. Depending on who you talk to, BTTM is regarded as better than MLII. In the opinion of yours truly, that isn’t a sentiment I agree with, but to be fair, Back to the Minors isn’t aiming as high as II. There are a few links to the prior ones, but it often does feel standalone compared to those, which is OK, but also a big disappointment. With the Major League name, one expects entertaining characters, whether lovable ones (Willie Mays Hayes), or despised ones (Jack Parkman). BTTM features past characters who are forced in their inclusion and/or watered down (Pedro Cerrano, Roger Dorn, Taka Tanaka), but mainly new characters who just aren’t interesting. This is one of the movie’s biggest issues. It lacks the sports drama (and the humor) of the first Major League, and is absent of the humor (albeit dumber), that is present in Major League II. I hate comparing, but it is awfully hard not to. Not all characters are worthless, though. 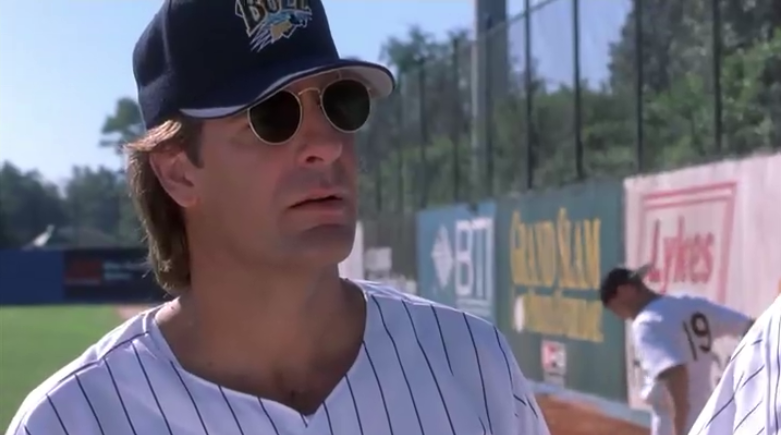 Scott Bakula is kind of a boring, but functional protagonist as the minor league manager and a good guy who just wants to see the best for these young players. He’s easy to cheer for. His antagonist big league manager is played by Ted McGinley. While he can be a little too over-the-top sometimes, and certainly no Rachel Phelps, he’s easily the most hilarious thing about Back to the Minors and is easy to hate. As mentioned, this doesn’t exactly aim that high, but it is of shocking just how high the floor is. There is little effort put into the script, which does nothing to explain how Dorn became an owner again, or how exactly the two squads can play in the middle of the season. Cheap is the word that one could use to describe most of this movie. Not just in script, but in actual set location, directing, casting, etc. Triple A ballparks look more like Single A and Little League fields. The horrid special effects and noticeable green screen make it painfully obvious that nothing is really being done by anyone. It is a lesser-brought up reason as to why the first worked so well (and the second still passable), but seeing so many putrid effects really gives one an appreciation for Sheen, Snipes, Berenger, and the rest actually looking and performing like real ballplayers. Even if the Wild Thing Vaughn’s fastball was the result of HGH, it is the dedication that counts, right? 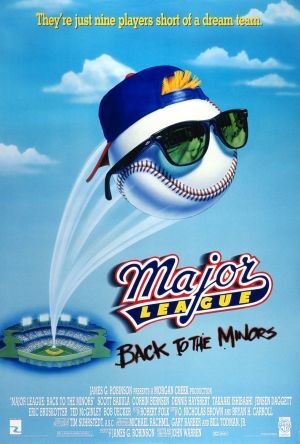 I refuse to believe Major League: Back to the Minors had a budget of 46 million. There is just no way. Back to the Minors is like that knucleball pitch: Occasionally it’ll find the strike zone, but more times than not, the pitch misses it completely. Photo credits go to fan-interference.com, wikipedia.com, and ravepad.com.